GreySave is 501(c)(3) southern California greyhound adoption and support group that places retired racing greyhounds in forever homes. 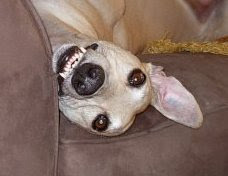 They have operated since late 2006 and have placed more than 1,300 hounds into loving homes. GreySave is unique as a greyhound organization because they transport ex-racing greyhounds back to California from the only remaining west coast greyhound racetrack located in Tijuana, Mexico. Caliente is an American circuit track racing American-born and tattooed greyhounds who just happen to end their careers in Mexico. 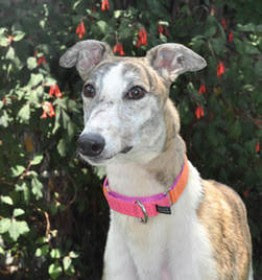 GreySave is probably the largest of the four southern California greyhound groups that provide these retired racers a post-racing safety net. Their mission and goals are to provide forever homes for all the greyhounds retiring from Tijuana and to ensure none are forgotten. Like all athletes, some of the greyhounds have had injuries or have fallen sick. GreySave takes in all greyhounds — young, old, healthy and some injured. The cost to take care of a healthy hound from the track to couch averages $700 including pre-adoption veterinary, meds and other costs. However, a sick or injured hound can cost $3,000 to $6,000 and requires a very special foster home to care for them. In 2017, approximately 14% of the hounds who came to GreySave needed more that the average veterinary care. The adoption fee is $300 so you can calculate the extra veterinary funds needed from additional sources mainly from donations of volunteers, friends and others who love the greyhounds..